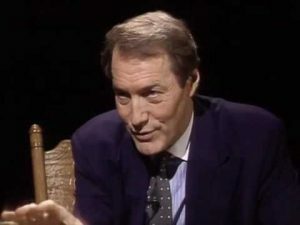 A plaque beside Mr. Fred Rogers’ office chair read: “What is essential is invisible to the eye.” Mr. Rogers and Charlie Rose talk about what is essential in a 1997 interview by Charlie Rose, and the YouTube video of it recently caught my attention. 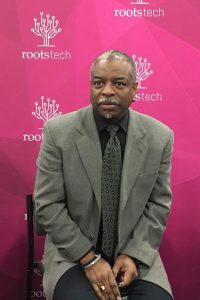 I watched because at RootsTech 2017, LeVar Burton drew upon an experience he had with Mr. Rogers, and it created a palpable shift in the room’s energy, prickling the hair on my arms and making my eyes well with emotion. It felt like the sort of moment that can alter the course of human events. Even Burton seemed overwhelmed by what happened. Prior to that moment, he had been reserved with the media, perhaps a natural result of so many appearances at Star Trek conventions. Afterward, however, he granted unscheduled interviews and opened up in a way that one inside source told us was uncharacteristic. As in, he does not let his guard down in public. With that backdrop, I felt like watching the Rose/Rogers interview was witnessing a spiritual master at work, a superhero whose power is humility. Mr. Rogers’ lack of ego is so profound, it makes everyone else grow bigger. You can tell by watching this lovely conversation that these are not gimmicks Mr. Rogers used to win friends and influence people. Rather, it feels like without his own ego in the way, Mr. Rogers creates space for others to feel their own worth. Even when the spotlight shined on him in a TV interview, he conveys a quiet peace. He was the same man in all circumstances. It seems an impossible question, yet Mr. Rogers’ Neighborhood did exactly that. As competing programs garnered boisterous attention, Mr. Rogers remained a calming friend to children everywhere. When I started watching the video, I supposed I anticipated this kind of wisdom, but I did not see it coming when Mr. Rogers turned to some of life’s most troubling subjects: anger and suicide. He referenced a suicide by someone who seemed to have it all. Rose and Rogers wondered, “What was it that we didn’t know about our friend?” Mr. Rogers responds, “There are times that people just can’t share what is essential within them…We didn’t know what it was that was making her lonely.” He speculates that someday when we are in heaven we will learn. When I watched this, I couldn’t help but wonder, what if everyone had a one-to-one relationship with a Mr. Rogers type of person? 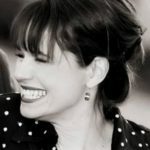 What if each of us could bring more validation to our friends? More quiet into our own lives? What we all felt more space to say what immediately comes to our mind and to share what is essential within us? What is making us lonely? There are, of course, no easy answers to suicide, and too many “what if” questions after. Last winter a beautiful young mother I knew took her life, and I processed that heartbreak in an article entitled “If we make it through December.” I can only imagine how her grieving children must have needed a friend like Mr. Rogers to process such enormous feelings. Perhaps that is why it seemed timely to add Mr. Rogers’ voice to the conversation on suicide now. I love this article! I’m am loving what you do and what you are sharing. Thank you! Thank you so much for the kind words, Julie. It means a lot to us! Agreed, Julie! Thanks for your terrific support!